Come join us here at Main Event for a pancake breakfast with a very special guest! 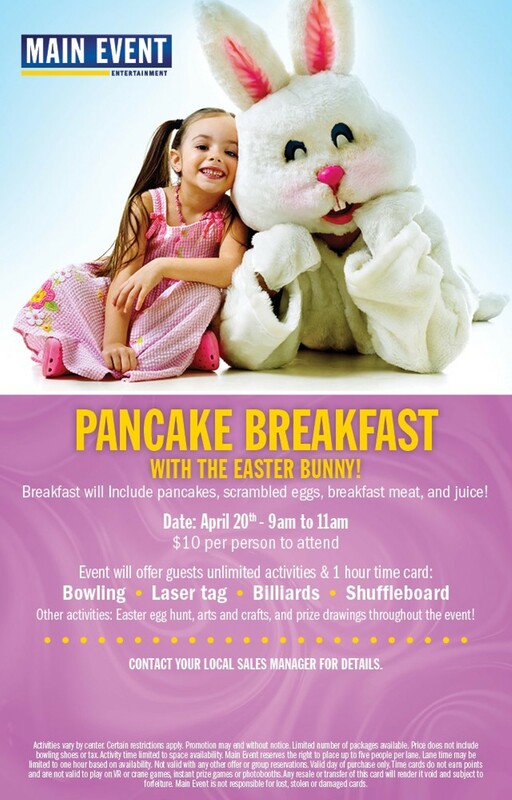 A ticket to this event will get you a buffet style breakfast, all-you-can-play activities, and a visit with everyone's favorite bunny. Pictures are welcome, so don't forget your phone or camera! 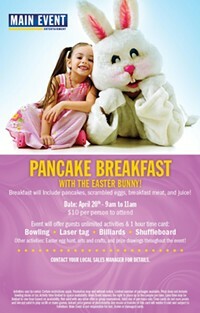 We will also be holding an Easter egg hunt as well as prize drawings and other entertainment for the whole family. Contact our Pittsburgh office for tickets! We *hop* to see you there!